From goodreads: How do you keep going when you feel like your life is over? This is an unconventional love story and that’s how I love my books, different. It’s heartbreaking, it will fill you with hope and it will generate many discussions. 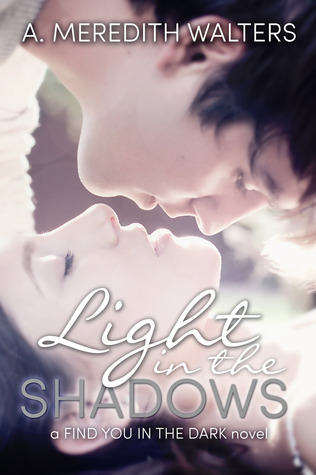 Light in the Shadows is by far even better than the first book in the series. It’s brilliant and perfect all rolled into one and I couldn’t get enough of this heartbreaking story! This sequel rocked me to my core because there is something about Clay that breaks my heart but this book isn’t all doom and gloom, there are shreds of hope that moved me to pieces. This story moves at a perfect pace, it’s not rushed but it’s now slow and yet, it’s slow building story. It’s a character driven story and frankly, it’s beautiful. The writing is hands down, flawless and the dialogue felt genuine throughout the entire story. The journey of Clay and Maggie felt incredibly real to me and at moments, I forgot I was reading because I was so caught up in their world and only a truly talented author can do that to a reader. You might think that Maggie and Clay aren’t meant to be together because of how their relationship started, in the darkness. Some even said their love was obsessive and oppressive in the first book but I didn’t see it that way. It started off filled with such intensity that it can give the wrong perception. However, their relationship was re-charged and brought back to life when he returned home. All the same intense feelings were still there but there was clarity that Clay had upon his arrival. He was selfless, going through the healing process. And Maggie was forever faithful to Clay but trying to move at the same time. Her heart clearly wasn’t on the same page. There is nothing about this story that I didn’t like, I loved it from start to finish. If you need a series that’s edgy, different and beautiful…this is it!! !